Rais Bhuiyan was shot by someone who hated him without knowing him. He not only forgave the man; he fought to save his life. Now he spends his life teaching the importance of forgiveness and of handling conflicts with empathy. 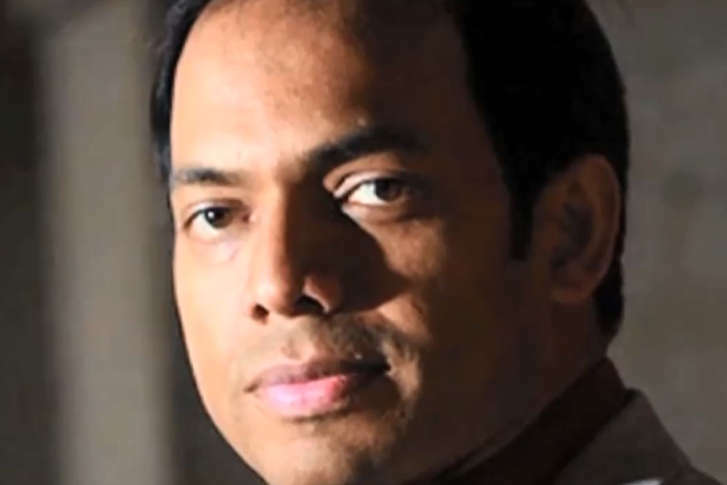 WASHINGTON — Rais Bhuiyan not only forgave the man who shot him; he fought to save his life. Now he spends his life teaching others the importance of forgiveness, tolerance and respect. Ten days after the terrorist attacks of Sept. 11, 2001, Bhuiyan, who had recently emigrated from Bangladesh to study computers, was working at a Texas convenience store. Mark Stroman walked in, bent on killing Middle Easterners out of what he considered revenge for the attacks. Stroman shot Bhuiyan at point-blank range with a shotgun. He survived, but is blind in one eye and still has more than 35 pellets in his face. Stroman had killed a South Asian man a couple of days before, also thinking him of Arab descent. A couple of weeks later, Stroman shot and killed another South Asian man. He was sentenced to death in that killing. It took nearly 10 years, but Bhuiyan found it in his heart to forgive Stroman, and began to appeal to the Texas justice system not to execute him. Bhuiyan told WTOP that Stroman hated him without knowing him, and Bhuiyan wouldn’t make the same mistake. Bhuiyan’s campaign was the subject of the book “The True American,” by Anand Giridharadas, who said in interviews publicizing the book that Stroman had been abused as a child and was a meth addict early in life. Records indicate Stroman committed his first armed robbery at age 12. Bhuiyan told WTOP his Muslim faith was crucial to his change of heart. Bhuiyan’s drive to save Stroman’s life was named World Without Hate, and it exists today with Bhuiyan as founder and co-president as a nonprofit organization dedicated to a world based on mutual respect, dignity and understanding. The number of hate groups in the U.S. rose for a second straight year in 2016, and the FBI says anti-Muslim hate crime cases increased by 67 percent in 2015. So Bhuyian and his group advocate that conflict resolution, forgiveness and empathy be made available to all students in all communities to better handle conflicts when they arise. World Without Hate brings empathy ambassador training programs to schools and organizations all over the country. In the end, Bhuyian’s original quest failed: Stroman was executed the night of July 20, 2011. He was 41. But Bhuyian made a difference. He tried to visit Stroman before the execution — even filed a motion saying that under Texas’ victim-rights law, he was entitled to see him. He didn’t get his wish, but the two men talked on the telephone. WTOP’s Bruce Alan contributed to this report.